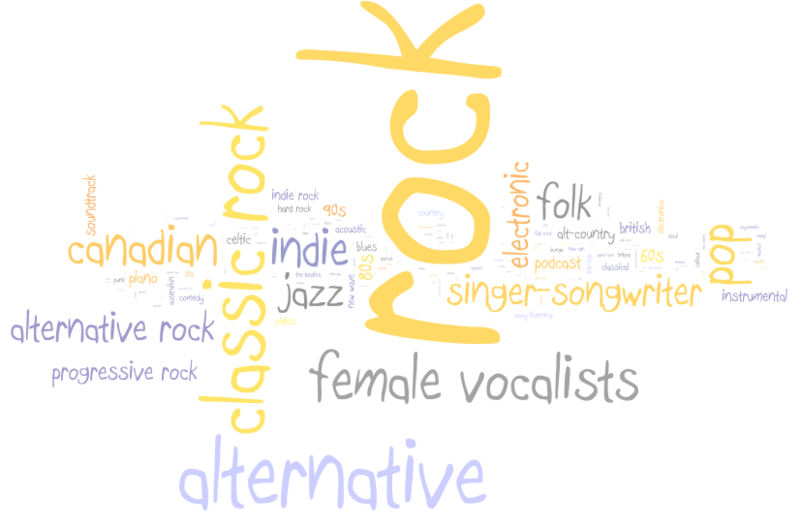 A few years back I created a data set of social tags from Last.fm. RJ at Last.fm graciously gave permission for me to distribute the dataset for research use. I hosted the dataset on the media server at Sun Labs. However, with the Oracle acquisition, the media server is no longer serving up the data, so I thought I would post the data elsewhere. the Audioscrobbler webservice during the spring of 2007.
counts. This data set provides raw tag counts. Artists with no tags have not been included in this data set. artists had 1 or more tags. the Creative Commons Attribution-NonCommercial-ShareAlike UK License. Over the last 5 years, Last.fm has built an incredible database of social tags around music. They have collected millions of short text descriptions of artists, albums and tracks. These tags are a great way to explore for new music, and Last.fm exploits these tags on their site to great effect. But what if you want to use the tags to help you play music from your own collection? Until now you were out of luck – you had to resort to the iTunes style of exploring your personal music collection – resulting in lots of playlists from artists in proper alphabetical order but with no musical cohesiveness. Now, Last.fm has just released a prototype, called Boffin that allows you to use the great body of last.fm social tags to play music in your own collection. The program is called Boffin – I took it for a quick spin and I really like it. Of course, the listening experience is going to be good, because I’m listening to my own music and, presumably, I like that music already. 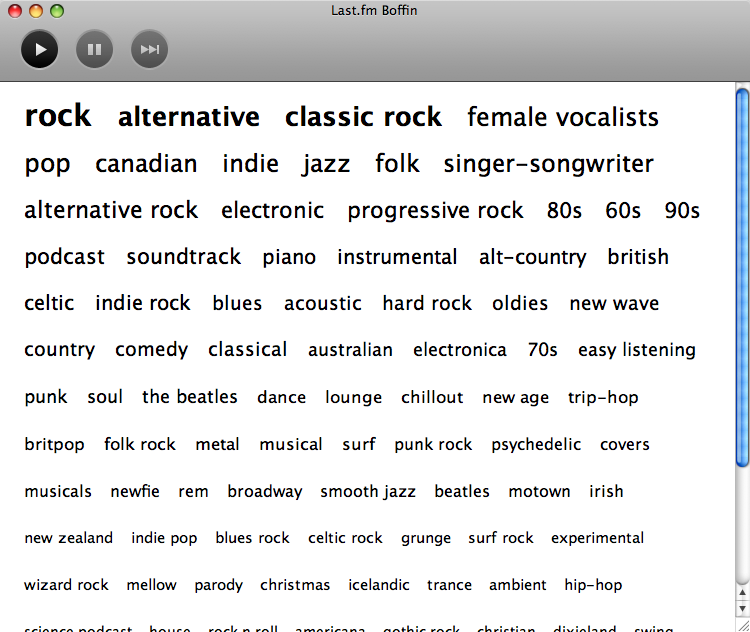 Good job to the folks at Last.fm, Boffin is pretty neat!